going to wind up on a box of Wheaties, they are going to rise to fame within your company. And just like the coach training star athletes, a great sales manager also has to built and train their team. 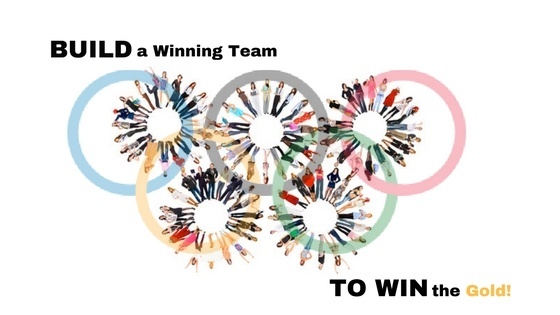 Here’s how a great sales manager is like an Olympic coach. Just as a good swim coach understands that a team made up entirely of freestyle swimmers will not win the most medals in the games, so too, the smart sales manager knows that a diverse talent pool makes for the most wins. While top sales people may share some fundamental skills or abilities, a team made of salespeople with the same strengths and weaknesses does not make for the highest sales numbers. Different clients may require different sales styles, just as different products may too. You need the closer who can work with your larger, more corporate clients, and the finesser who knows how to nudge a new customer toward a close. Just as athletes need to stretch and grow, so too do salespeople -- make sure you’re making room for your team to get new training, face new challenges and keep pushing the limits of their reach and ability. An olympic level coach knows how to read their athletes, and understands what it takes to make each individual perform at their best. Some members of the team may need loud music to pump themselves up before the game begins, while others need a quiet place to find their focus. The smart coach makes room for both team members to get what they need. And they also make room for failure; there’s is no such thing as success without trial, error and mistakes. This couldn’t be more true for salespeople. Not every call is going to result in a win, not every deal is going to close. There will be winning streaks, and there will be times when it’s hard to get a spark lit. Winning sale managers understand they have to create an environment that fosters resilience, where each salesperson gets the supports, training and kind of incentive that keeps them pushing through the tough times. Just as the 200 yard dash might be an individual event, even Usain Bolt’s chances of reigning dominant diminish without a strong team to support him. Sales may be an individual sport, but even a top grossing sales star cannot reach those heights without the support and dedication of the entire team. The best sales managers are the best because they know that failure isn’t measured by deals not closed, but opportunities for growth not taken. And in fact, I’d argue that the very best managers of any stripe are the ones who are willing to share the stories of their loses, who don’t pretend they’ve always been exactly where they are in their careers. There are studies, after studies, after studies on the power of failure -- you need look no further than silicon valley to know how so-called failures or losses can lead to transformative innovations. Even the kid born with innate ability or talent needs coaching and an incredibly high number of repetitions to hone their abilities. Michael Phelps might have been born with the wingspan of a champion, he might even have the focus and passion to win buried deep in his DNA, but he would never had made his first olympic team if he didn’t have the drive to keep practicing and honing his skills. None of this is to suggest that you going to be hiring salespeople who solely are athletes, already experienced in sales or have proven track records, but you ar looking to hire people who are driven and are committed to honing their skills. Providing your team with ongoing training, holding sales competitions, and constantly raising the bar on performance and outreach all help to build a better, stronger team. Just as the US Women’s Soccer Team knows that past glory in the World Cup doesn’t insure how they’ll perform in 2018 in Japan, a sales team is always building on success. It might be tempting to rest on the laurels of a hot quarter, but taking those wins and pushing for a banner year is what makes a sales team truly successful. The constant drive to improve is a mindset that needs to be encouraged, fostered and rewarded. J. Patrick & Associates is an Executive Recruiting firm that focuses on Executive Management, Sales, Marketing and Technical roles within Information Technology markets. We have over 20 years of experience recruiting in every aspect of AV/VTC/UC, Application, Storage, Information/Network Security, Mobile Technologies and Telecommunications. 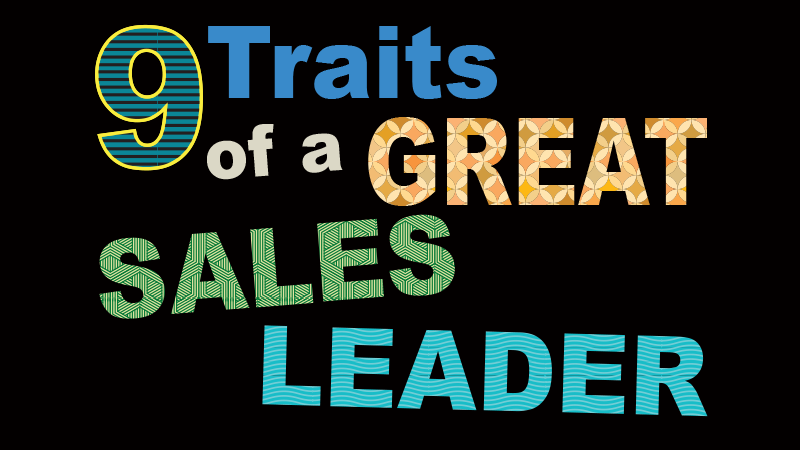 When you think of a sales leader it’s likely that you think of the person with the 85-90% wins, right? Well sure, that’s one way to think about it. But a sales leader is many things - above and beyond being a top producer. They understand the art of the deal in a way others don’t, and that’s what get them to the top of the heap. Yes it’s numbers, but it’s also about leadership, attitude, style and approach. Building success for both yourself and your team requires vision, being able to see the big picture, and to always be looking for a new way through a problem. Sales Leaders allow themselves to not only think differently, but they also encourage their team to. Where there is trust, there is progress. Only a leader who is honest, ethical and fair can create a team that is loyal, honest and respectful. Lead by example and your team will rise up to your level and help carry you all to greater success. The tried and true might always work, but can they ever deliver anything but the same results? Real breakthroughs come from new approaches, trial error and daring to fail. Striving to maximize potential beyond the way things have always been done can lead to better results, higher numbers and greater rewards. 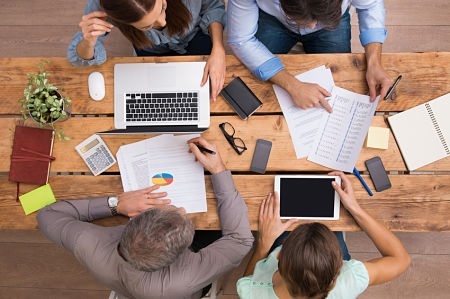 Just as effective communication is what leads to an increase in your own sales numbers, it’s equally important that you effectively communicate with your team. Being able to clearly relay your thoughts, intructions, goals and ideas helps the overall performance of the sales force and allow them to work autonomously and effectively. Certainly gut plays a good role in sales, but a sales leader knows to dive into the data to expose what’s working, and what’s not. But they also know that the numbers don’t tell the whole story, that any data set requires a critical eye to discern the true story they are telling. Knowing the difference between being data driven and driven to do better makes all the difference to the bottom line. Understanding that a leader is only as strong as their team is vital. The ability to recruit and train a team of strong performers puts a sales leader at the top of the heap. But knowing how to retain that team is equally important. Sharing the load, being sure to always be teaching, training and rewarding your team helps create a stronger unit. Knowing how, when and what to delegate to the team not only allows you to focus on leading, but also sends the strong message that you trust and value the input of your sales team. 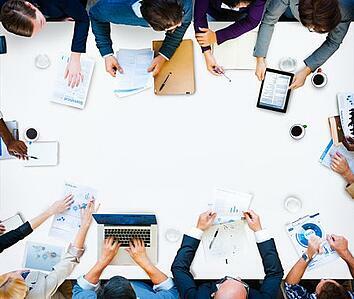 The leader who micro-manages or refuses to delegate is not maximizing the potential of the group, nor are they investing in the future of the company. Always be building both your team and the abilities of the individuals. It falls to the sales leader to set the tone for everyone else, and a negative outlook will never build anything but doubt. Knowing that there is always potential, that failures are an integral part of success, and that your attitude informs everyone else’s is a sure sign of a sales leader. J. Patrick and Associates serves Information Technology firms that are looking to improve or expand their teams in mission-critical functions, where the success of the firm is highly dependent on the quality of certain hires. If your goal is to build a star sales team, or find a new position, contact us today.